Recommended for shrinking Thick Wall Heat Shrink Tubing and for use with all EPCO Splice Kits. The trigger-start ignition starts fast and easy. 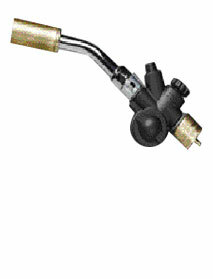 Features a fully adjustable regulator valve and air inlet port for appropriate flame settings. Connects directly to a standard 14.1 propane tank (not included).